In this third and final installment of the Men of Valor series, former Army Ranger Finn McGregor is a dashing hero who finds himself running to the rescue of his neighbor, Dana Lewis. The chemistry between the two becomes palpable as their relationship develops amid the drama and danger that is lurking in the woods around them. 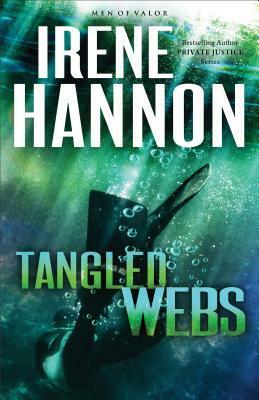 A delightful blend of intrigue and romance, I enjoyed Finn and Dana’s story and thought Tangled Webs to be a great conclusion to a great series! I received a complimentary copy of this book from the publisher. No review was required, and all thoughts expressed are my own.